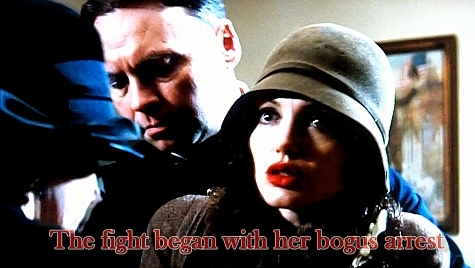 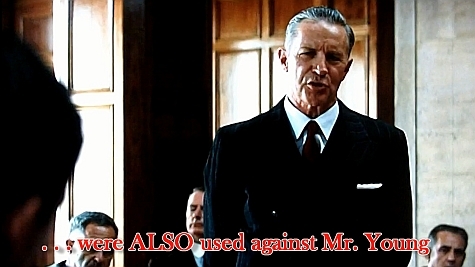 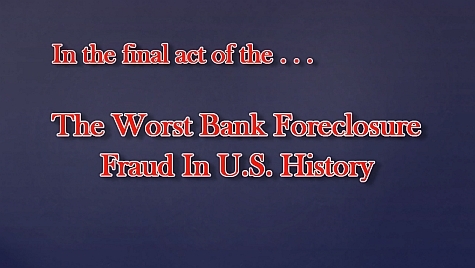 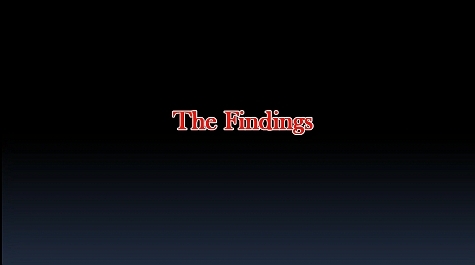 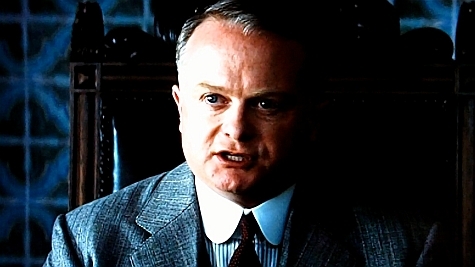 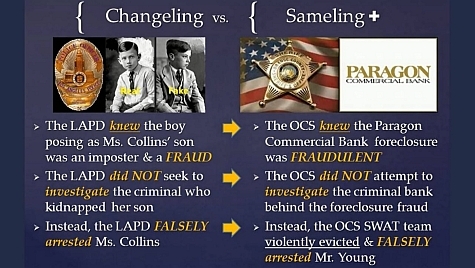 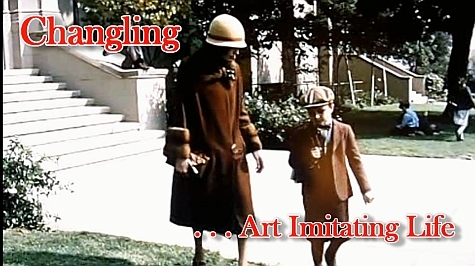 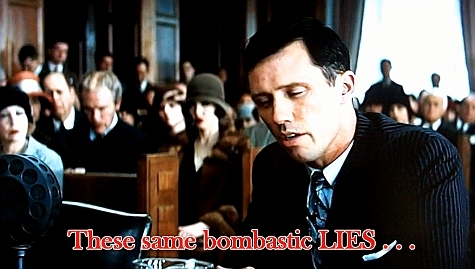 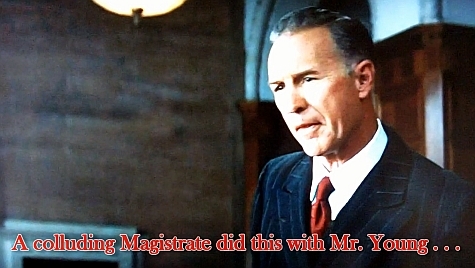 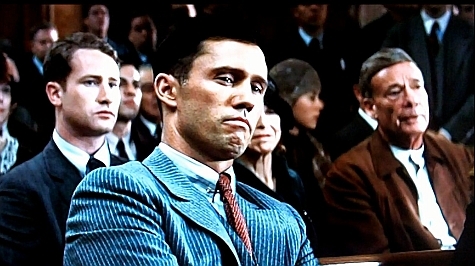 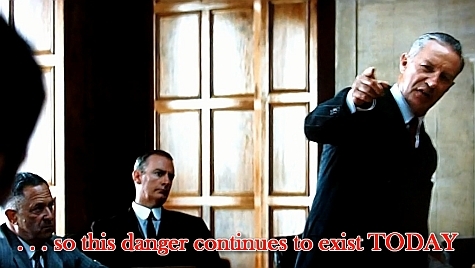 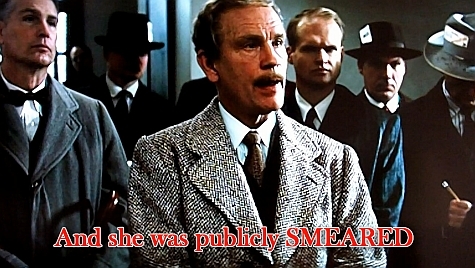 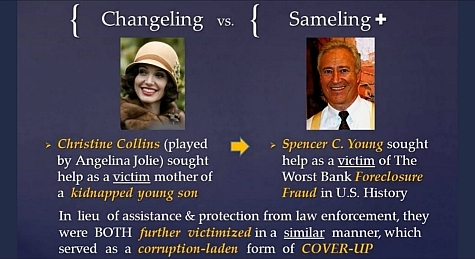 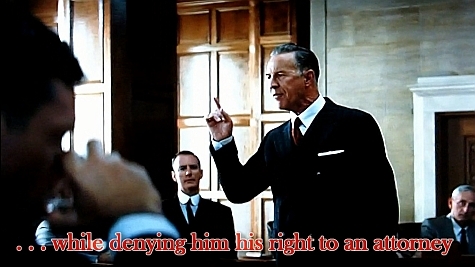 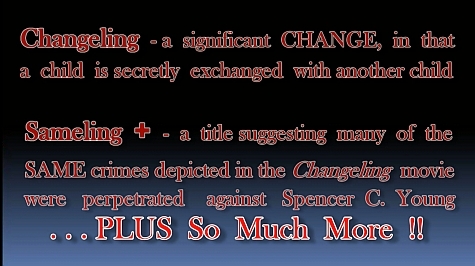 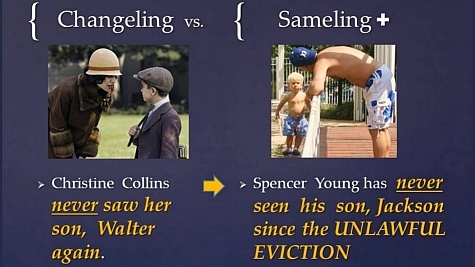 MorganStanleyGate: Foreclosure Fraud & Police Brutality: The Parallels of the Movie "Changeling" with "Sameling +"
Foreclosure Fraud & Police Brutality: The Parallels of the Movie "Changeling" with "Sameling +"
This reflects the FIRST of FOUR groups of screenshots from the "Art Imitating Life . 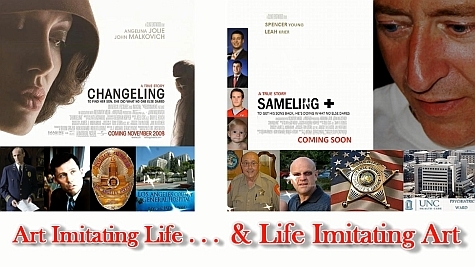 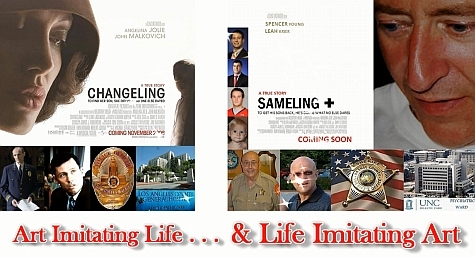 . . And Life Imitating Art" video presentation, which accompanied criminal and civil complaints filed against a notoriously corrupt and evil Orange County North Carolina Sheriff's Dept., including Sheriff Lindy Pendergrass, Major Charles Blackwood and Deputy JC Clayton. 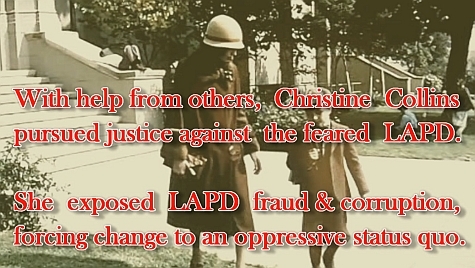 This section covers the "WHERE & WHEN" of it by covering the parallels of the UNLAWFUL acts of the corrupt Los Angeles Police Dept. 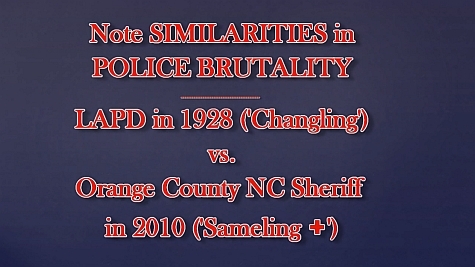 in 1928 and those perpetrated by a corrupt Orange County North Carolina Sheriff 82 years later-- thereby evidencing how history can truly repeat itself. 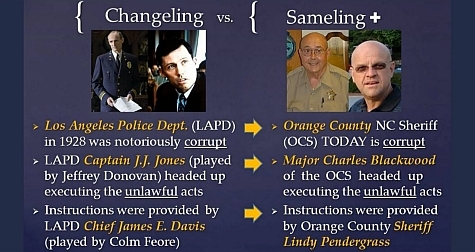 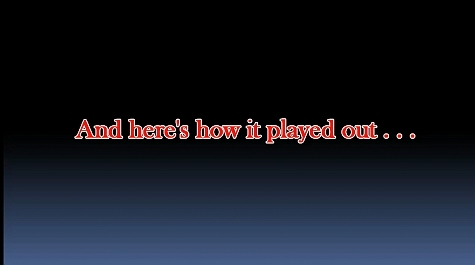 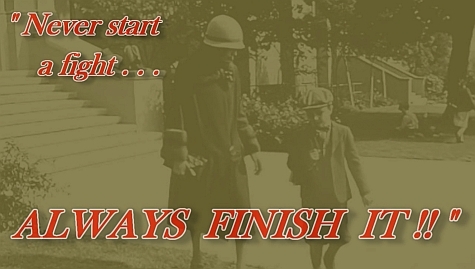 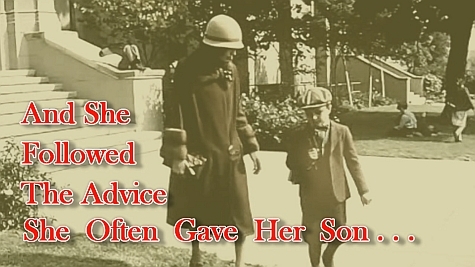 The soundtrack to the video presentation adds much to communicating how reprehensible these corrupt cops are; therefore, where appropriate in the screenshots below, a brief write-up is included. 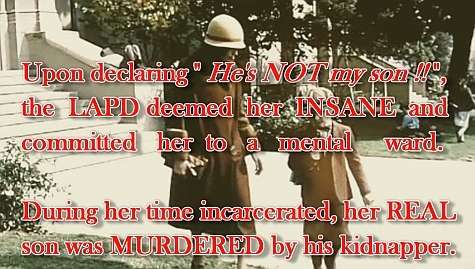 "I'm perfectly sane, and I will explain that to them". 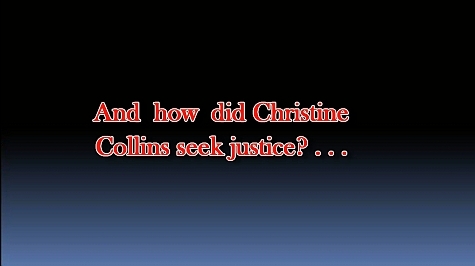 Retort: "How? 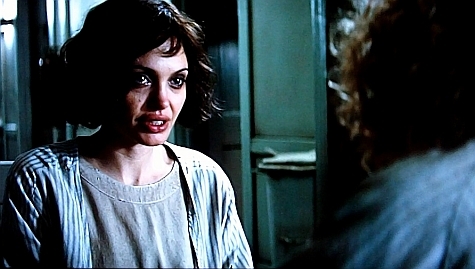 The more you try to act sane, the crazier you look." 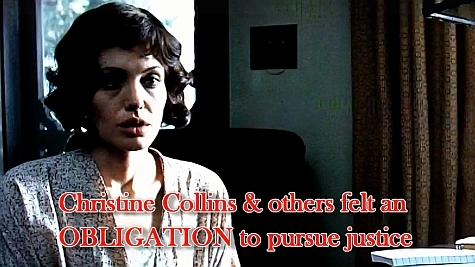 A prominent attorney, sympathetic to Christine Collins' plight, agreed to represent her pro bono. 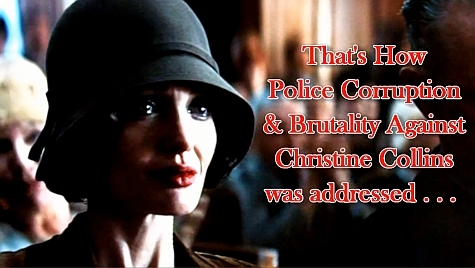 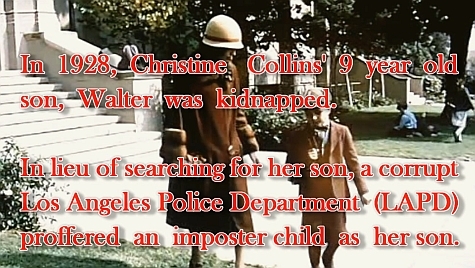 The police chief literally concocted a fabricated assessment of Christine Collins' behavior. 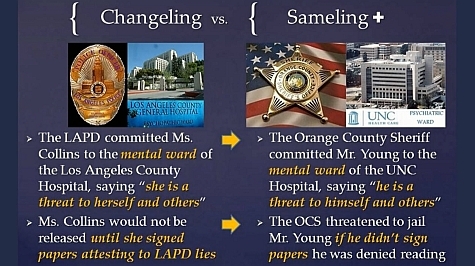 And Mr. Young was not only denied his right to an attorney, he was denied his right to remain silent, as he was threatened incarceration in jail with violent criminals, if he continued to remain silent. 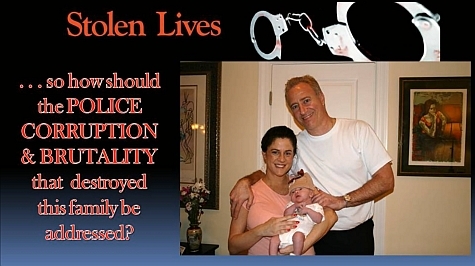 The police captain was permanently suspended of his position as police chief. 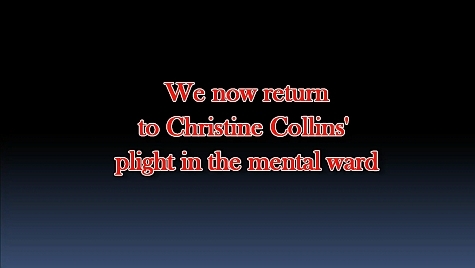 Procedures by which to commit a person to a mental ward were revised.